US and Global shipping! 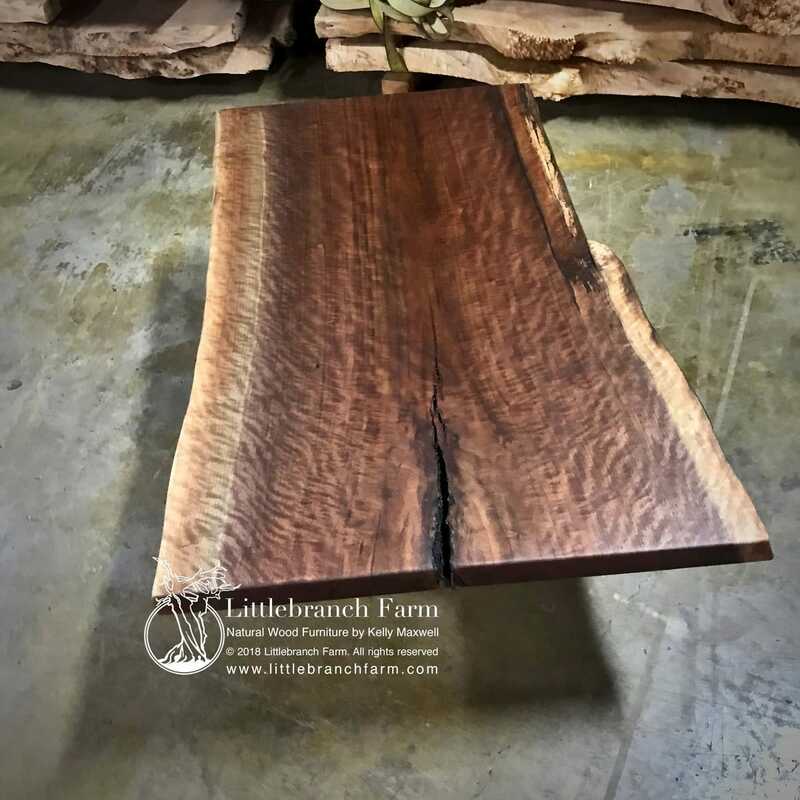 Contact us for an international shipping quote. 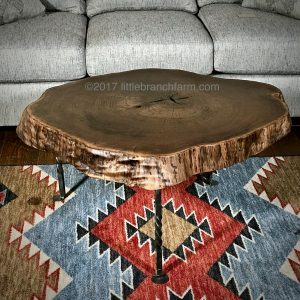 Natural wood slab coffee table made from a live edge wood slab harvested from a dead standing black walnut tree. 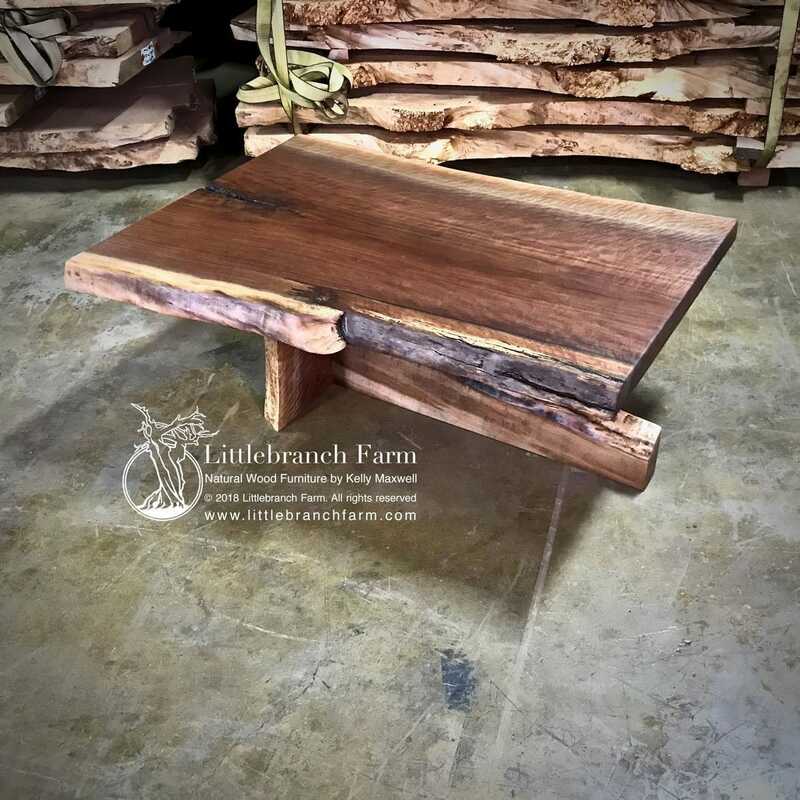 Also, designed to highlight the highly figured live edge wood slab. 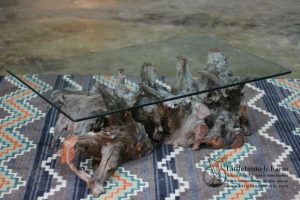 Each rustic coffee table is one of a kind and available in other wood species and sizes. 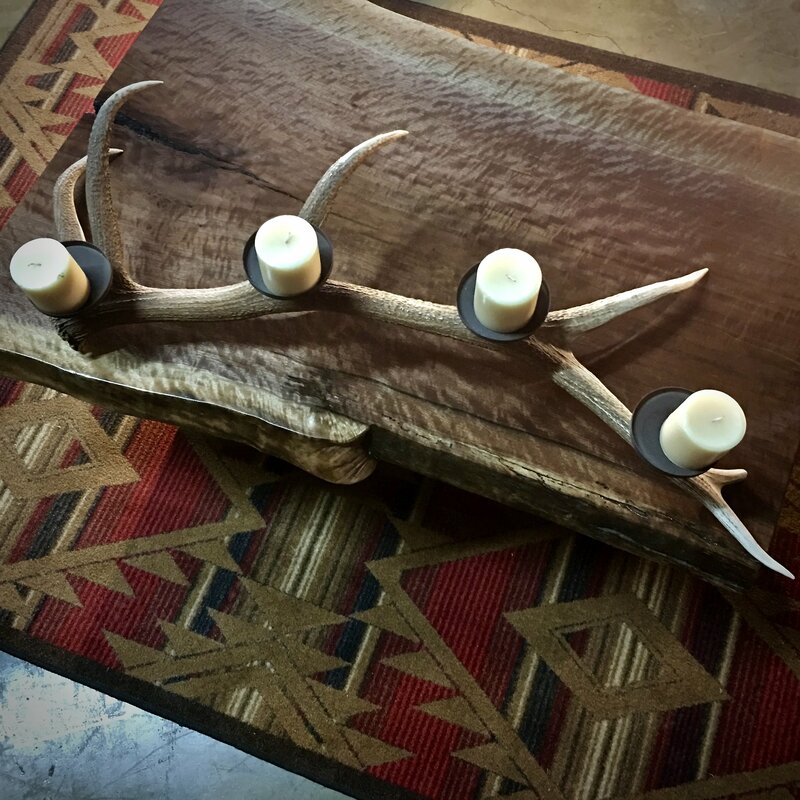 Reminiscent of mid-century wood furniture design. 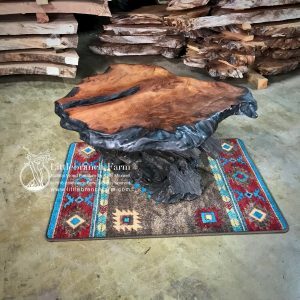 With special attention to the beauty of the natural wood. 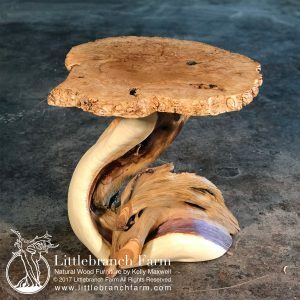 This wood table features a simple natural wood base. 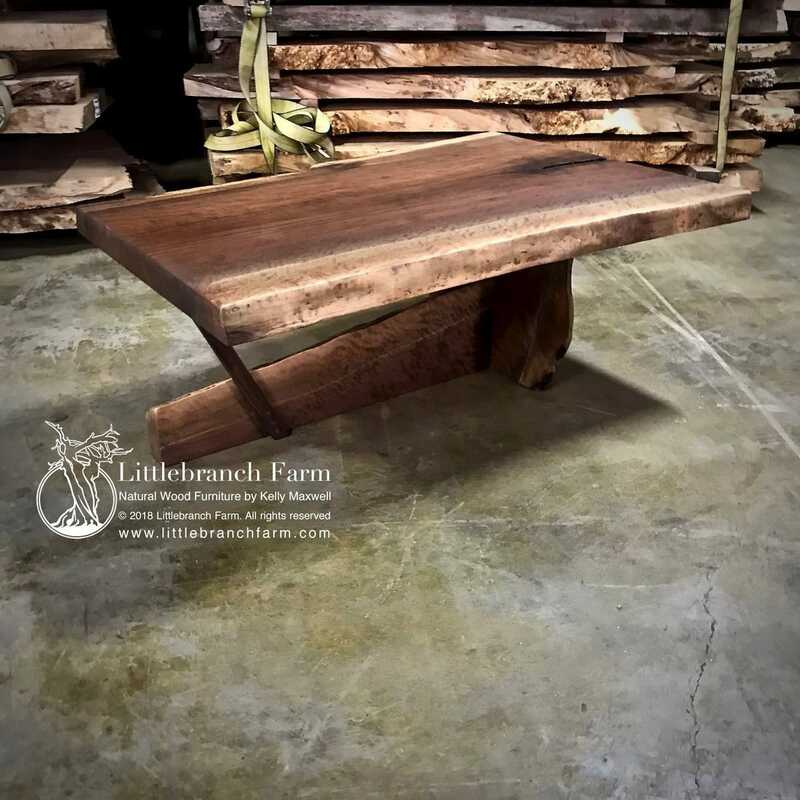 Although the pictured wood table features Black walnut it is also available in Claro walnut, Redwood, and Maple. Along with the natural wood coffee table, we also build rustic furniture using native woods to the USA. 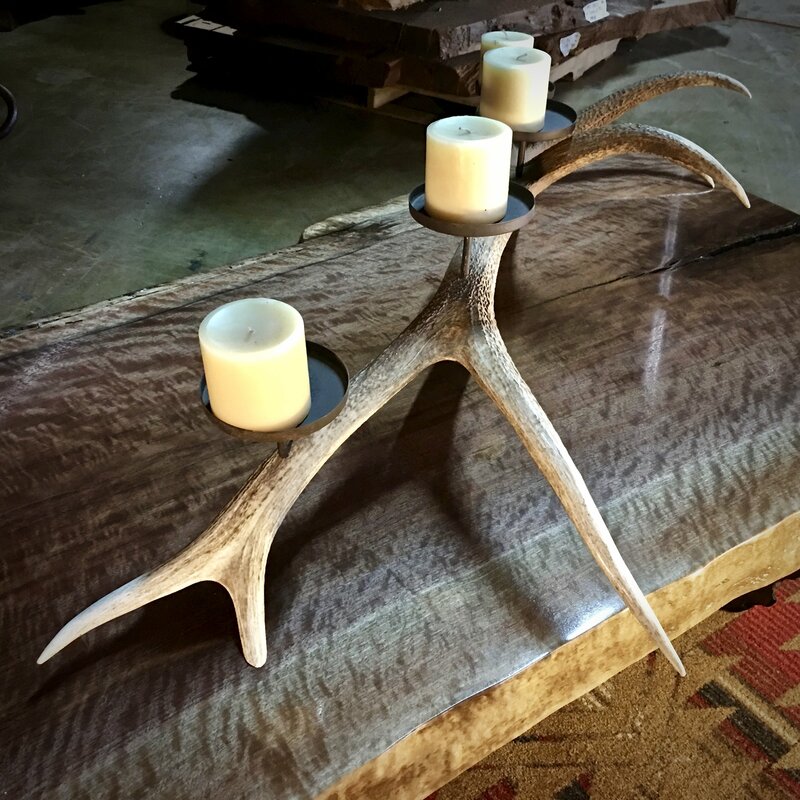 Whether a natural wood bed or a rustic wood vanity our custom wood furniture maker looks forward to working with you.